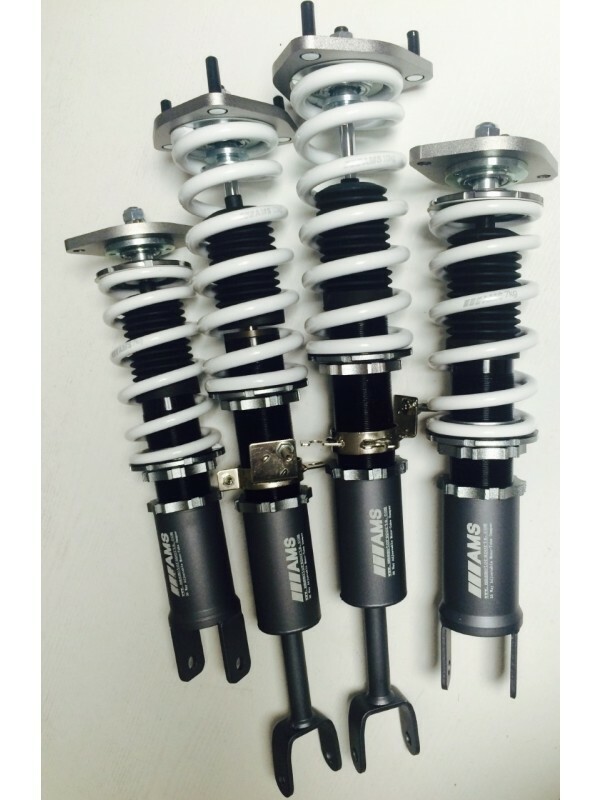 • Designed as the best bang for the buck unit on the market covering the 350Z / G35 (RWD) - Titanium Edition • Manufactured to AMS specs! 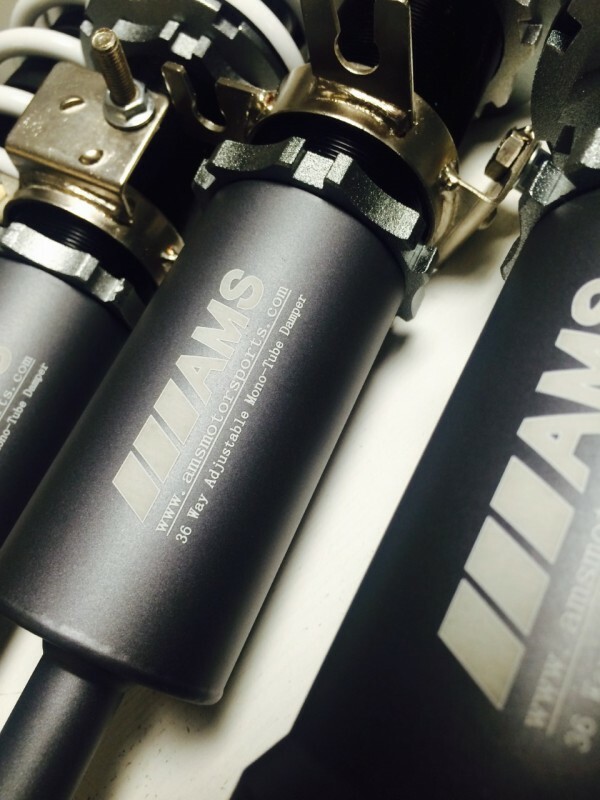 The Titanium Series Dampers feature spring rates of 10 kg front and 7 kg rear and Pillow Ball Mounts! 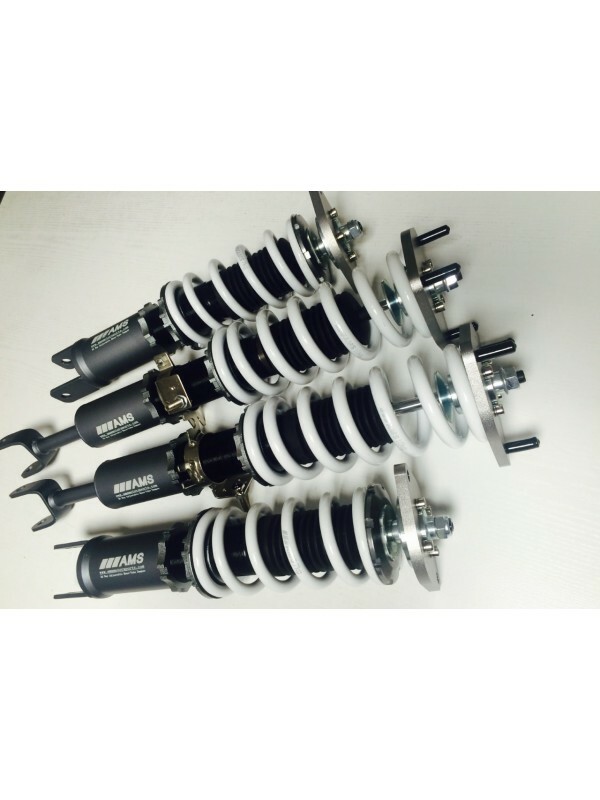 • 36 levels of dampening adjustment • Independent adjustments for spring pre-load and shock length • Mono-Tube construction for optimal performance on the street and track duty • Includes adjustment wrenches and shock dampening knobs • Fully re-buildable with each individual part being sold seperately (shocks/pillow-ball mounts/bushings/sleeve) • Manufactured to strict ISO 9001 standards • Street and track tested • Anodized and Powder Coated Titanium for durability and appearance • AMS laser etched logos! 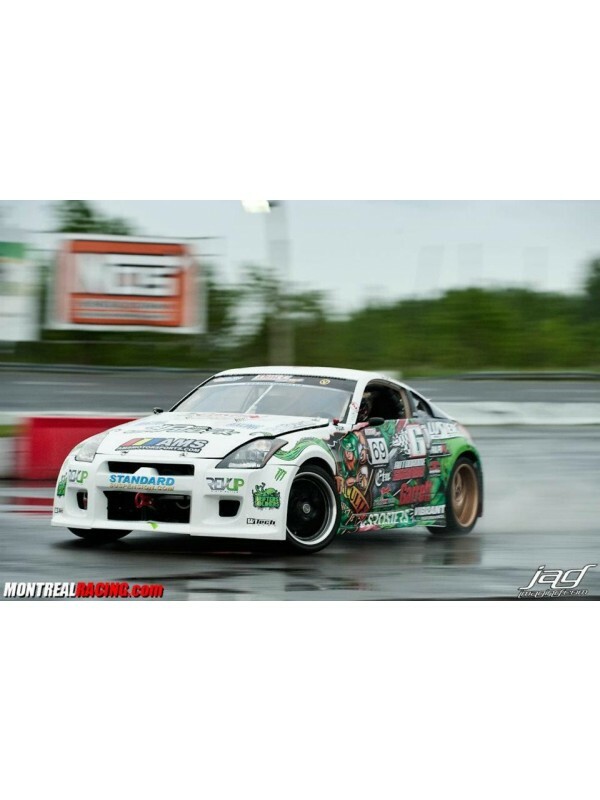 Street and Track Tested (350Z Drift Z Equipped)! 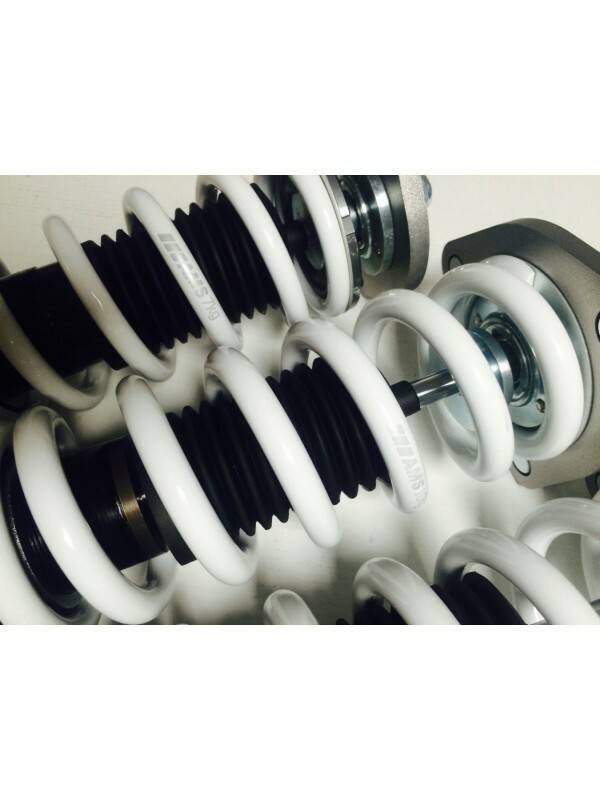 The AMS Damper makes the selection of springs and shock combinations to lower a Z obsolete as for roughly the same price you get a premium grade coil-over!